This is an advertorial in collaboration with Oliveda. 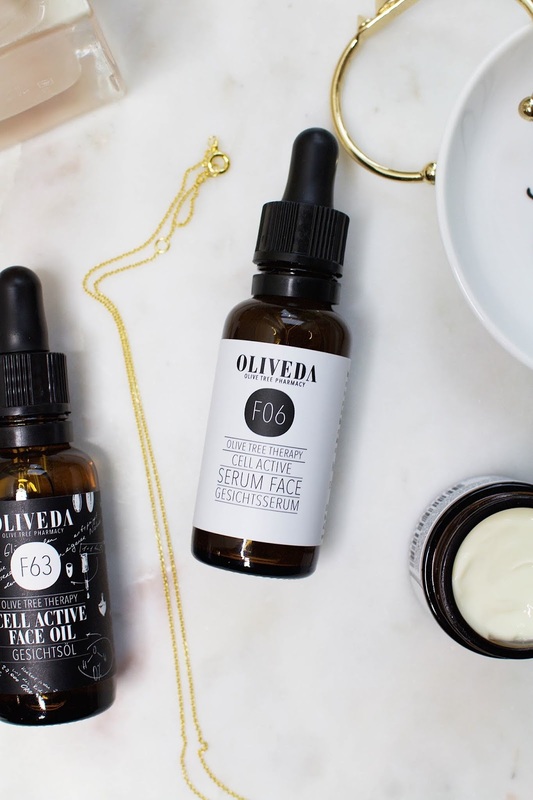 Oliveda is an all natural, anti-ageing skincare brand and their products contain olive leaf cell elixir as their main ingredient which is the secondary plant substance of the olive tree and thanks to its rejuvenating anti-aging power, an olive tree could reach the age of up to 4000 years with high vitality. 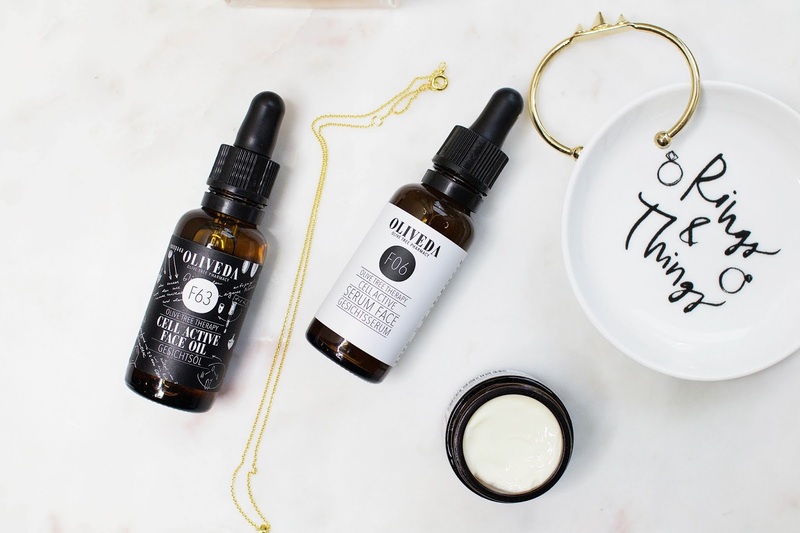 When Oliveda contacted me about a possible collaboration I was very intrigued by their story and skincare products. You guys know I'm a sucker for skincare and I love trying out new brands and share my thoughts with you guys. I've been testing these products for a couple of weeks now and I can't wait to share this blog post with you today. 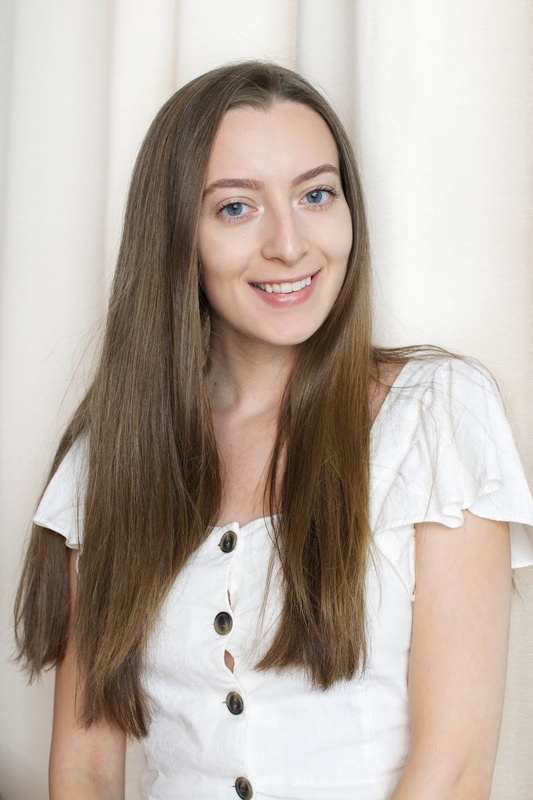 The first product I received is the Oliveda Cell Active Face Oil* which is a nourishing facial oil that is supposed to give your skin that beautiful youthful look. The "Oliveda Glow" complex makes your skin look smooth and vibrant while protecting the skin from pollution. The ingredients are what makes this face oil so very special: the delicate arbequina oil originated from a natural reserve, cold extraction and the insertion of olive leafs into the oil for a few weeks for a maximum amount of anti oxidants and nutrients. What I love most about this oil is that it's a true all-rounder. You can mix it with pretty much any face creams or even use it as a hair oil. I find that it absorbs very quickly into the skin. I usually apply this oil at night time and mix a few drops into the Cell Active Face Serum. My skin looks super healthy and fresh when I wake up in the morning. It really does give you such a beautiful glow. The Oliveda Cell Active Face Serum* is based on a highly effective concentrate of fresh olive leaf cell elixir instead of water. It's high anti-ageing power strengthens and repairs damaged and dehydrated skin while it also helps to refine pores, brighten a dull complexion and even out wrinkles with immediate effect. This lightly textured serum quickly absorbs into the skin and adds a beautiful, healthy glow. 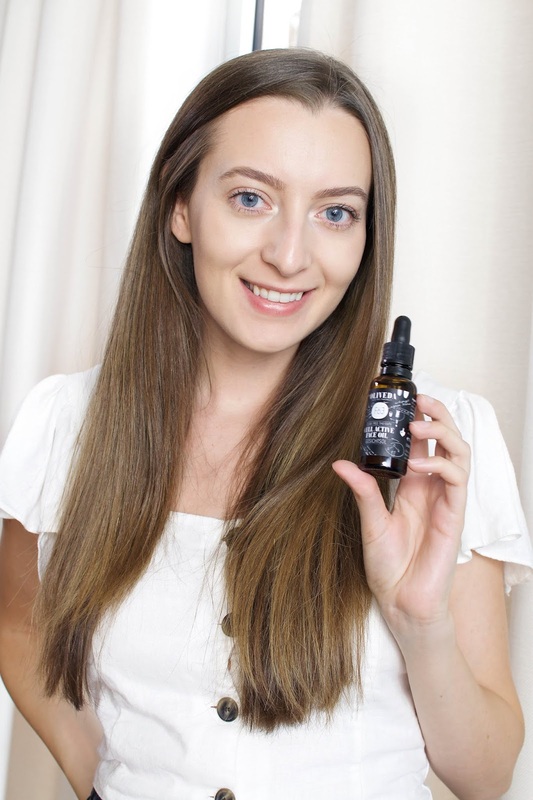 You are supposed to apply this serum on clean skin twice a day in the morning and at night, including the eye area before applying any further products. I've been using this serum for a couple of weeks now and it has become a product that I look forward to applying the evening. Next up we have the Oliveda Anti Wrinkle Eye Cream* which also contains a combination of active ingredients of olive leaf cell elixir from the black Arbequina olive. This eye cream feels extremely gentle and moisturising. It's supposed to tighten and soften the delicate area around the eyes. I use my ring finger to gently dab the cream under my eyes, starting from the nose and moving towards the temple. I also like to apply it just under my brow bone. The texture feels really light and sinks into the skin nicely. My under eye area feels very refreshed afterwards and looks a lot brighter and more awake. It has an overall firming and smoothing effect and is suitable for all skin types and also contact lens wearers. The lovely team at Oliveda are kindly offering my readers a 15% discount on any products from their website. Use the code ANACELINE15 at checkout. 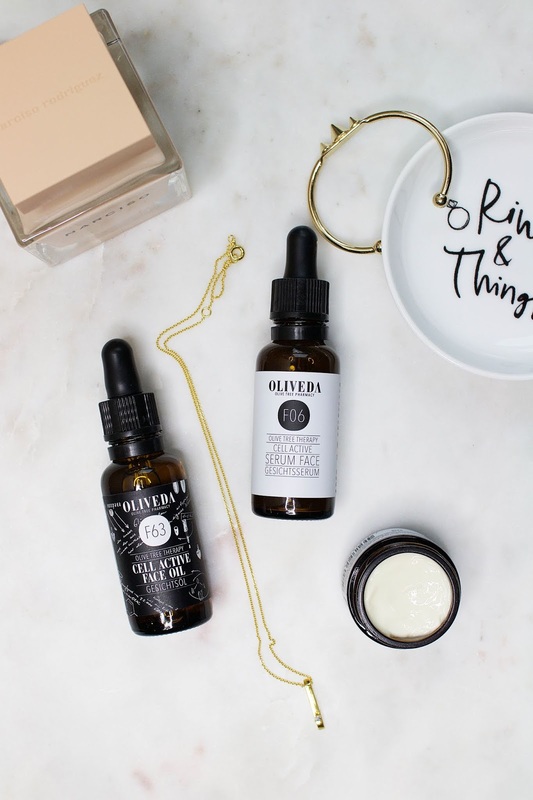 Have you guys tried Oliveda products before? What do you think?